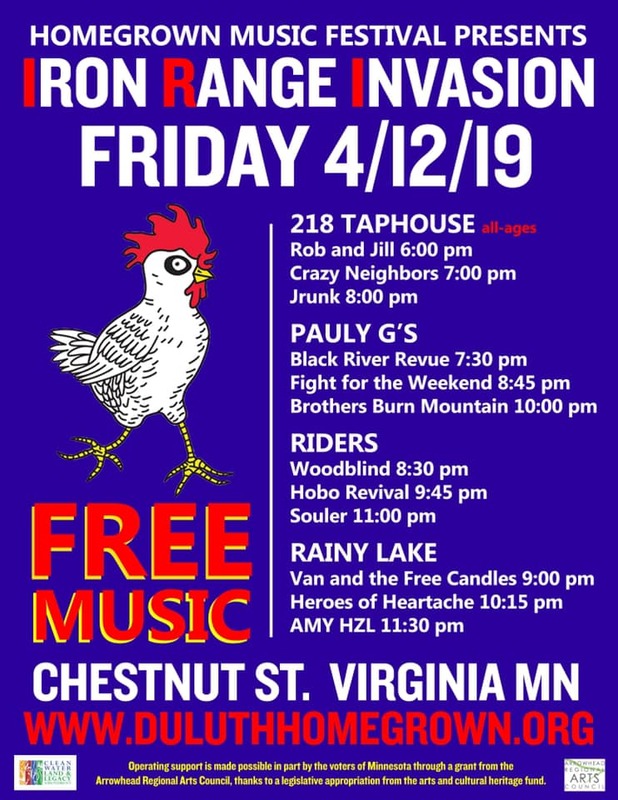 Next weekend, we will be invading the Iron Range. Do you want a mini-Homegrown on the Iron Range? Do you want to see 12 bands perform at 4 venues in one night? This is it!